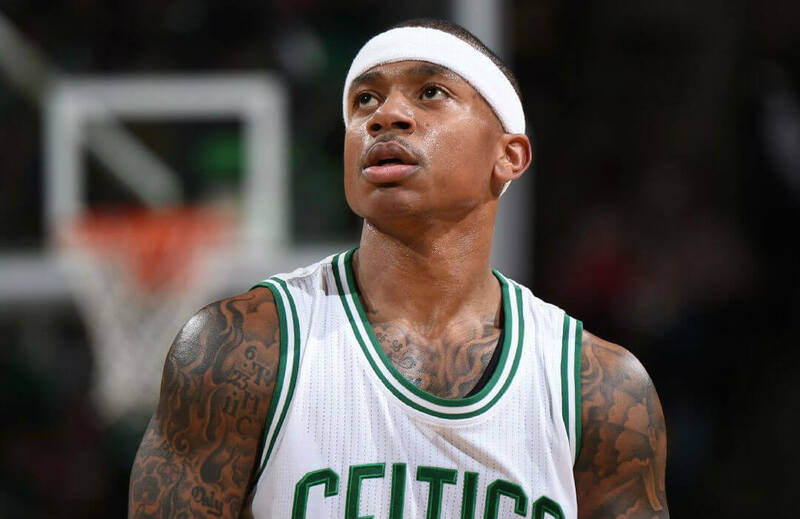 All-Star guard Isaiah Thomas entered the NBA offseason ready to playout the last year of his contract with Boston and sign what could have been his last expensive and long-term deal. Then the Celtics traded him to Cleveland for Kyrie Irving, along with forward Jae Crowder, center Ante Zizic and Brooklyn’s 2018 first round pick. But because of the hip injury that has sidelined him in the playoffs last May, the Cavaliers are now apprehensive of the trade and are delaying the finalization of the deal without another big piece, leaving Thomas virtually homeless. The Celtics have shunned the 28-year-old Thomas to Cleveland and have already welcomed the flashier Irving, who is three years younger and is at least two years away from a big payday. The Cavs want to take a risk on Thomas, but not without the added assurance of another pick, or another youngster. According to Thomas, all tests he had showed the labrum injury he sustained in the last playoffs will not derail him in the long run. It’s not the first time that Thomas has faced these kinds of odds. He’s been facing them all his life. Because of his size at 5-foot-8, he needed to work doubly hard to get attention from scouts, and needed to triple that work rate to prove he belongs. He was a three-star prospect in his batch, and it wasn’t until his junior year in Washington when his performances generated draft buzz for the diminutive guard. Despite scoring close to 17 points per game on 44.5% shooting, NBA teams still did not want to risk using a high pick for a small and then-22-year-old guard. On the draft that saw Irving get drafted first overall by the Cavs, Sacramento selected Thomas with the last pick, the 60th overall selection. Thomas showed great potential in his rookie year with the Kings, and made history as the first 60th overall pick to earn an NBA Rookie of the Month honor in February 2012. He evolved in his first three years with Sacramento, and averaged 20.3 points on 45% shooting in his third year with the Kings, but then he was shipped off to Phoenix in 2014 where he had to prove himself again as the third playmaker alongside Eric Bledsoe and Goran Dragic. The three-guard experiment in Phoenix was cut short early, and he was dealt to Boston where he was the lone playmaker and was able to showcase what kind of player he was. He became a star scorer, and made the bulk of his points in the fourth quarter, earning the nickname “King in the Fourth”. In three seasons with Boston, Thomas averaged 24.7 points, 6 assists, 2.7 rebounds on 44.3% shooting per night. But because of a hip injury, his age, and his size, Boston saw an opportunity to improve with Irving, who is three years younger, less prone to long-term injury, and stands at 6-foot-3. Thomas says he knows the NBA is a business, and doesn’t want to think of things he cannot control, like getting traded by Boston, whom he has served well in the last three years. The former Suns guard is working with renowned hip specialist Bryan Kelly of the Hospital for Special Surgery in New York. “He told me, ‘I have seen hips worse than yours with guys who played at a high level and had great careers,’” said Thomas. Wherever he may end up, Thomas will be proving himself again. He may need to prove he is the same player for Boston, or he may need to prove he is a star for Cleveland. Well, whichever team he plays for, he knows what to do to prove he belongs. He has been doing it his whole life.